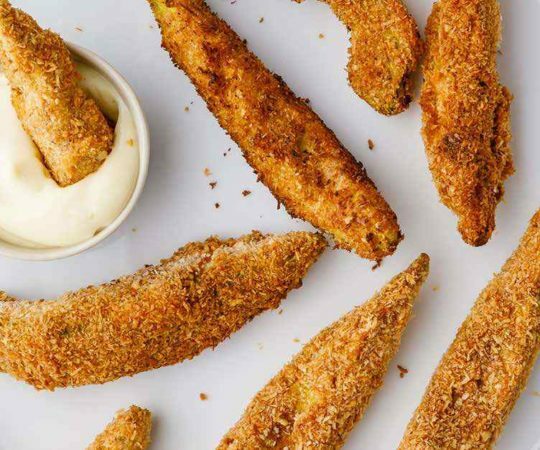 Vegetables should never just be limited side dishes or appetizers. There are literally thousands of vegetable combinations that make for some amazing dishes due to the variety of aromas, flavors, textures, and colors they provide. 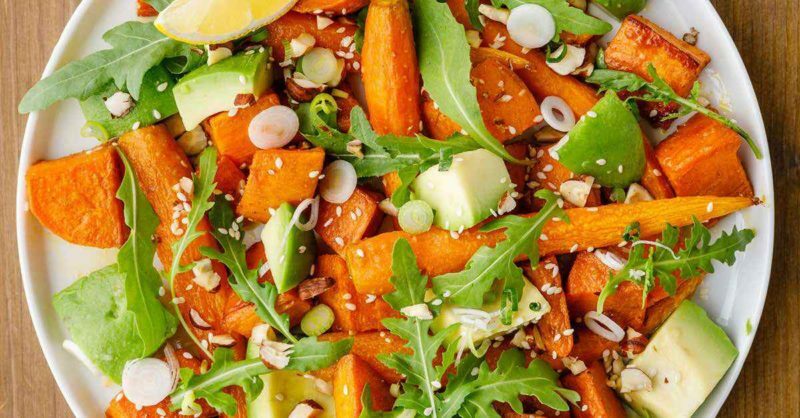 Whether you’re in the mood for something sweet, savory, spicy, or all 3 combined, vegetables, together with a variety of herbs and spices, can appeal to a wide range of people. 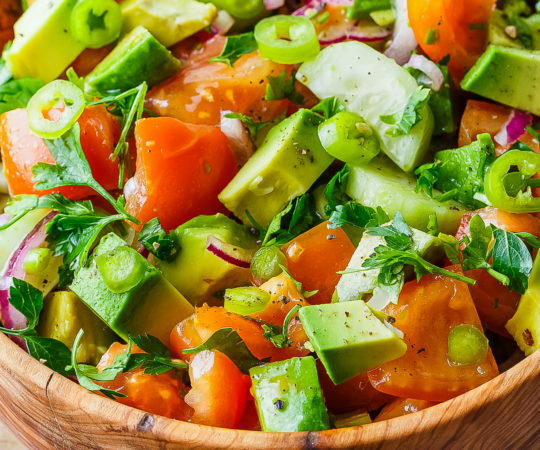 This warm, hearty Moroccan avocado and roasted vegetable salad will surely put your tastebuds on a roller coaster of different flavors and textures. 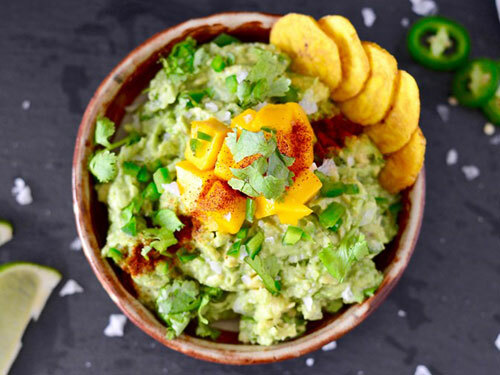 The unique combination of ingredients is probably something your friends and family haven’t tried before. 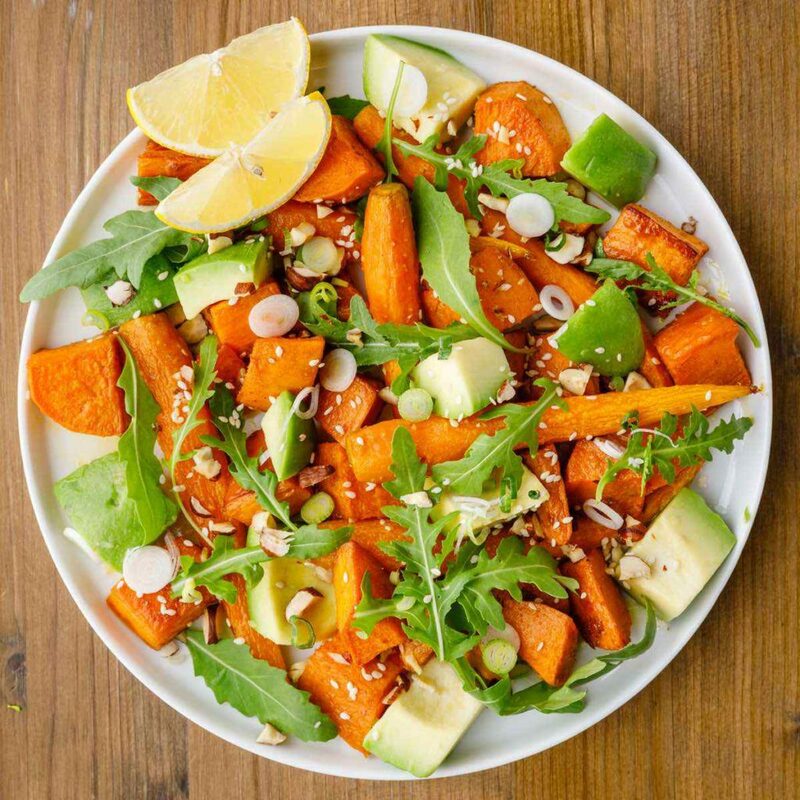 This Moroccan avocado and roasted vegetable salad is loaded with vital nutrients to keep your mind and body healthy. A variety of vegetables and herbs should be consumed in order to reap the benefits each ingredient has to offer. According to health experts and nutritionists, a diet composed of a broad spectrum of colorful fruits and vegetables is far more beneficial than a diet composed of a limited produce selection. For example, those who only eat green, leafy vegetables may be lacking in beta-carotene, an essential mineral found in carrots. Not only is this dish delicious, but the combination of ingredients makes for a healthy, balanced meal. This may come as no surprise, but one of the most common reasons why people are not eating healthy is simply due to the lack of time in a day. Let’s face it, even though fast food establishments offer meals that are filled with artificial ingredients and empty calories, people still choose to eat there out of convenience. You may not realize it, but preparing meals at home can take longer due to not having the proper tools. For example, your knives in the kitchen should always be kept very sharp to slice through vegetables quickly. Chopping, slicing, and dicing produce with a dull knife may definitely eat up a lot of time. A tool that will help keep your knives sharp is a quality sharpening stone. 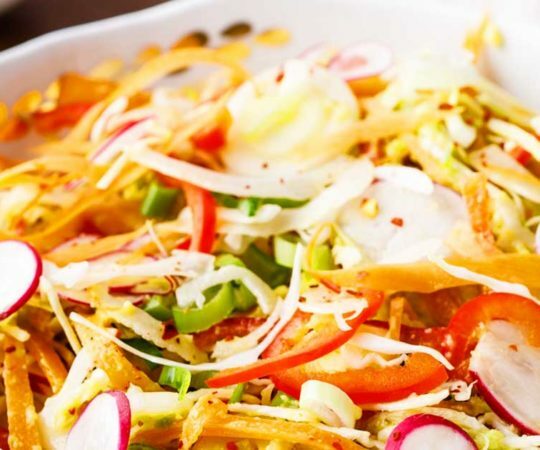 Since this dish is mostly comprised of fruits and vegetables, it’s best to use organic ingredients for better flavor. Additionally, using organic ingredients means you have to worry less about additives and pesticides. Additives and pesticides have been linked to negative health ailments such as food allergies, asthma, and even certain heart conditions. Trust us when we say you’ll be able to taste the difference with fresh, organic ingredients. More often than not, we’re used to cooking and eating meals that we’re accustomed to and it can definitely get boring. Try out a new, exciting dish like this Moroccan avocado roasted vegetable salad for a taste of new flavors. 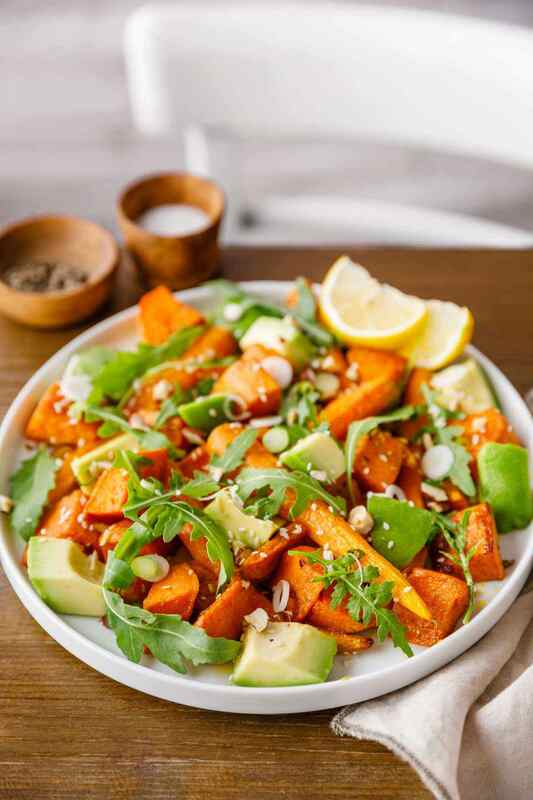 The creaminess of the avocados and sweet potatoes are perfectly contrasted by the crunch of the carrots and chopped hazelnuts. 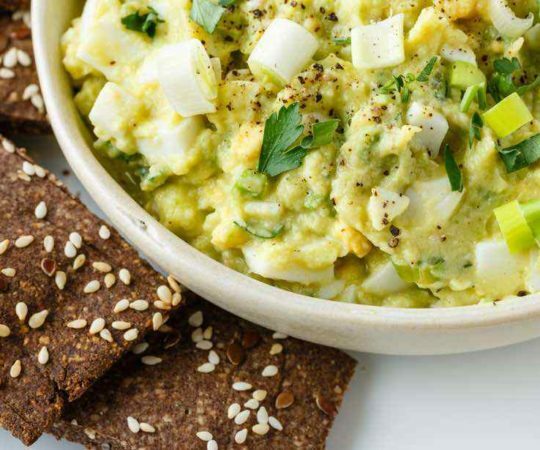 It’s the perfect dish to cook for special occasions like family reunions, company dinners, or even a healthy packed lunch to bring to work. PS. If you choose to have a protein with this dish, we highly suggest trying out one of these 28 beef brisket recipes that will perfectly complement your roasted vegetable salad. In a bowl, combine 2 tbsp olive oil, cumin, coriander, garlic and salt. Set aside. 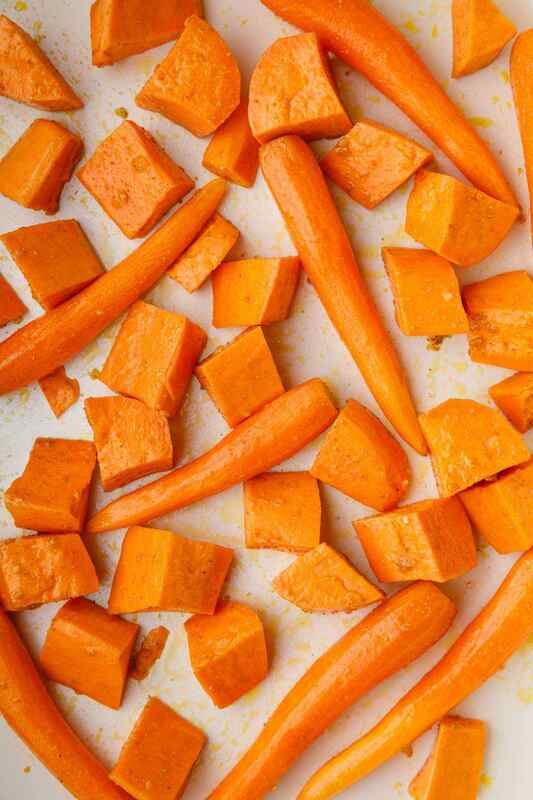 Arrange the sweet potatoes and carrots in a single layer on the baking sheet. Drizzle with olive oil mixture and toss to coat. Roast the vegetables, turning once, for 25 to 30 minutes or until tender. In a bowl toss the arugula and remaining olive oil. 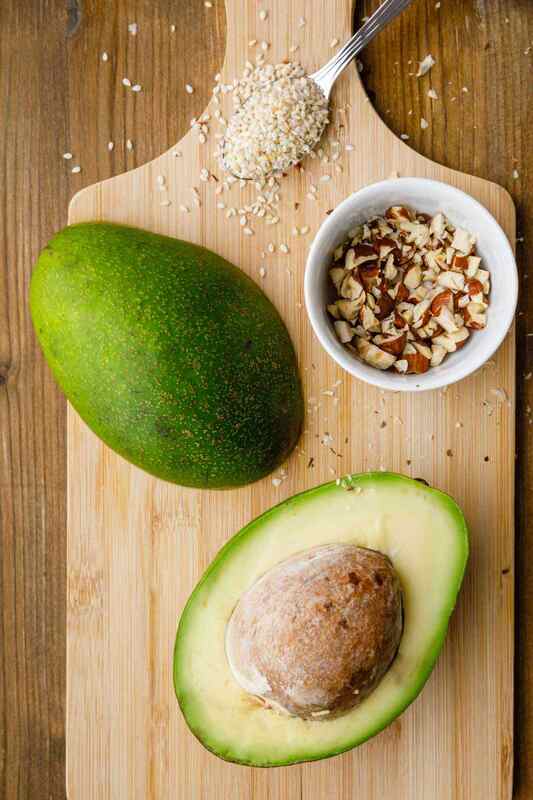 Use a spoon to scoop out the avocado flesh and chop it into ½ inch cubes. Place in a bowl and add lemon juice. Sprinkle with chopped hazelnuts and sesame seeds and gently toss to coat. To serve, divide the arugula between serving plates. 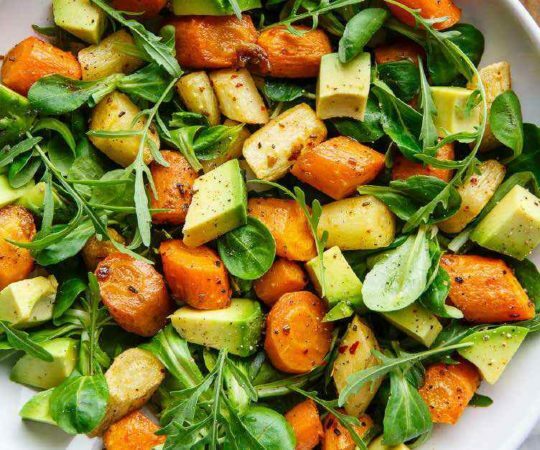 Top with roasted vegetables and avocado mixture.